It gives us immense pleasure to offer our clients a wide series of Stitch Chopped Mat, which is ideal for hand lay up molding. Designed to perfection, it is compatible with Vinyl Ester Epoxy, Polyester and Polyurethane resin system. This series of fiberglass is also appreciated for its higher strength in certain direction. - Application: Assembly Lines, Walkways, Trench Covers, etc. Our firm is well reputed among consumers for providing Fiberglass Woven Roving Mat in all available GSM. Since our commencement, we are immersed in presenting an elite array of 610 Woven Roving Mat. We are one of the reputed organization engaged in providing superior quality Woven Roving Mats. The mat is used in various purposes for laminating fiberglass parts in boats, aircraft and tanks. It is known for its strength and high reinforcement qualities. These products are available in market at competitive rates. We are one of the foremost firms of 600 GSM Woven Roving Fiberglass Mat. Besides, we present this product at nominal rates to our customers. Woven roving is a bidirectional fabric made by interweaving direct rovings. 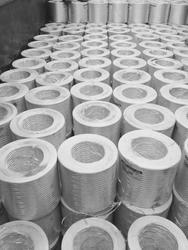 Woven roving is compatible with many resins, such as polyester, vinyl ester and epoxy resins. Woven roving is a high-performance reinforcement and widely used in processes such as in hand lay-up, molding, and pultrusion for the production of boats, automotive parts, furniture, sport facilities and other fields. We are a highly acknowledged organization, engaged in presenting a remarkable range of Fiberglass Woven Roving Mat. 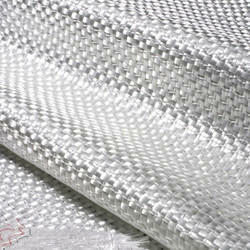 stitch mat : fibre glass stitch mat is made of randomly oriented chopped stands stitched together with polyester yarn. Stitch mat / pressure moulding mat is designed for contact moulding, pultrusion and rtm process.